The last five years have been tough for those in retirement. Portfolio valuations have been hammered and annuity rates have plunged. There's no sign of things improving anytime soon, either, as the eurozone and the UK economy look set to muddle through at best for some years to come. In this series, I'm tracking down the UK large-caps that have the potential to beat the FTSE 100 over the long term and support a lower-risk income-generating retirement fund. 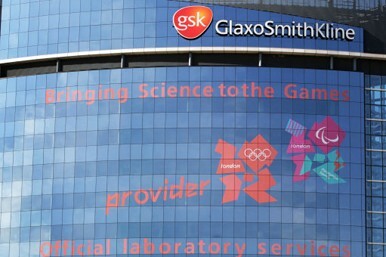 Today, I'm going to take a look at GlaxoSmithKline, the UK's largest pharmaceutical company. Total Return 2007 2008 2009 2010 2011 Trailing 10 yr avg. Although GSK's trailing 10 year average total return is below that of the FTSE 100, anyone holding GSK shares from 2007 until today would have seen a total return, including reinvested dividends, of 40%, compared to 12% for the FTSE 100 total return index. *GSK was the result of a series of mergers, the final one of which took place in 2000. The component companies are much older. A score of 19/25 is attractive in my view and makes GlaxoSmithKline and attractive candidate for a retirement fund portfolio -- indeed, I hold these shares in my own retirement fund. Is Rio Tinto the ultimate retirement share? Is BP the ultimate retirement share?